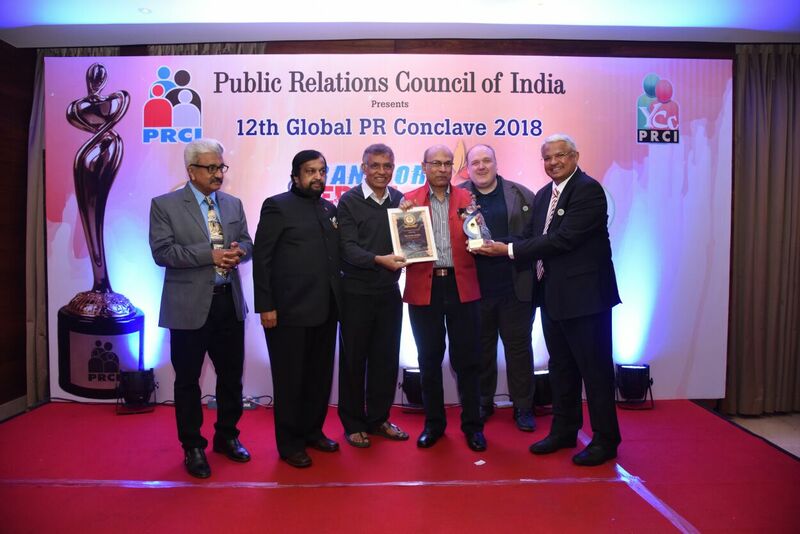 Ramesh Gopalkrishnan,Facebook Head ,APAC to inaugurate the coveted Annual event,alongwith PRCI Chief Mentor MB Jayram and National President B.N.Kumar. 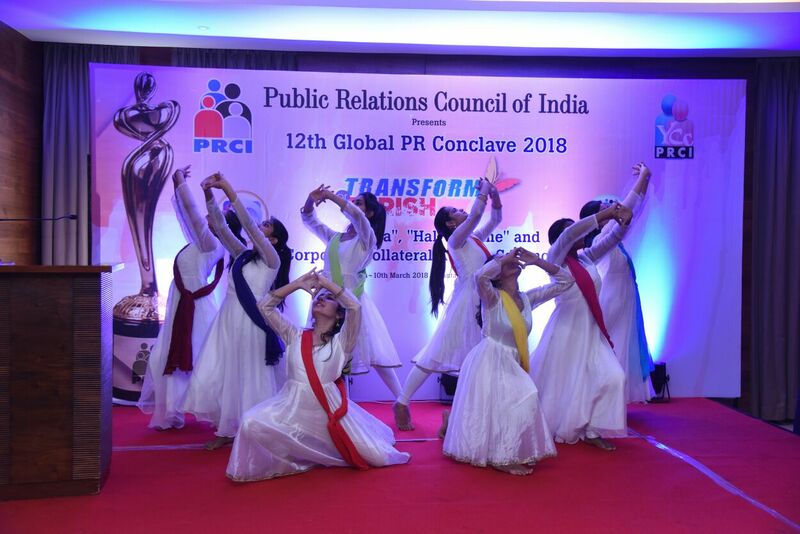 Pune: the city is all set to host the 12th Global Communication Conclave .Public Relations Council Of India (PRCI)which has emerged as a premier communication exchange for PR,Media,Advertising,HR Marcom Professionals and Mass Communication students and academicians is holding the conclave focusing on the theme Transform Or Perish. The venue is :all spice,Shantai hotel,Rasta Peth Road .Apart from the rapid developments in technology,life around us too is changing fast -faster than the speed of thought. What we think today may not be relevant tomorrow.Some of these rapid developments would need a total transformation ,and not a mere change. 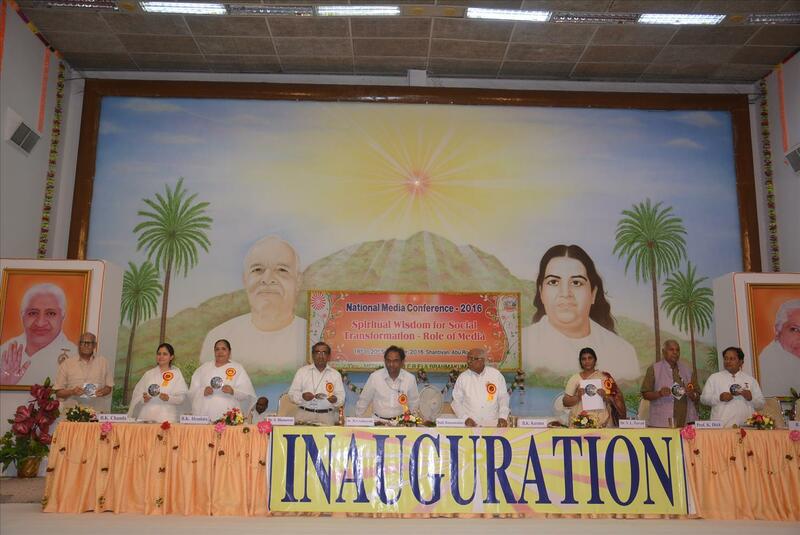 "said Conclave Chairman and PRCI National President B.N.kumar. We therefore,plan to focus on sub-themes covering a host of subjects such as PR.Corpcom ,Media ,Social Media,Advertising.Crisis,HR,Mentoring ,CSR,Artificial intelligence,Governance ,Film Agriculture,Energy ,Urban infra etc. with the overall theme-TRANSFORM OR PERISH,he said. 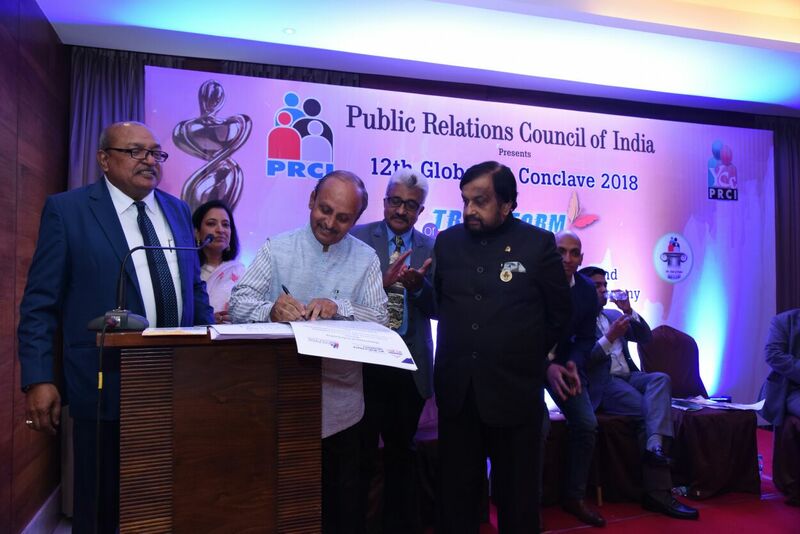 PRCI Chairman emeritus and chief mentor M B Jayram said:"we are inviting top notch Speakers ,Corporate Honchos,Change Leaders and above all those intiating Transformation in their chosen field." 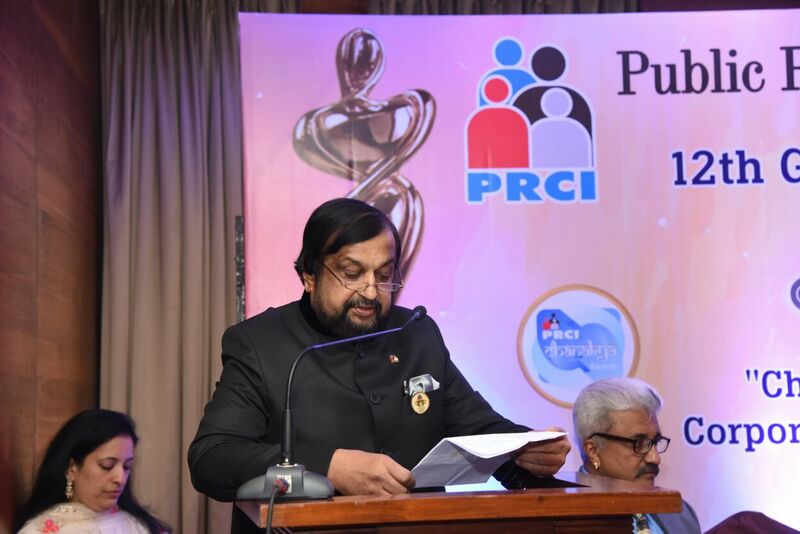 PRCI will also present its much sought -after signature awards under the Chankya series and induct achievers into the PR Hall of Fame.and , we will present the popular PRCI Collateral Awards-a talent recognition for communication professionals ,Jayaram said.. IIT Kanpur Alumni Association's Pune chapter will be the Knowledge partner for the tech session covering IoT,Artificial,Intelligence,Big Data and Robotics. 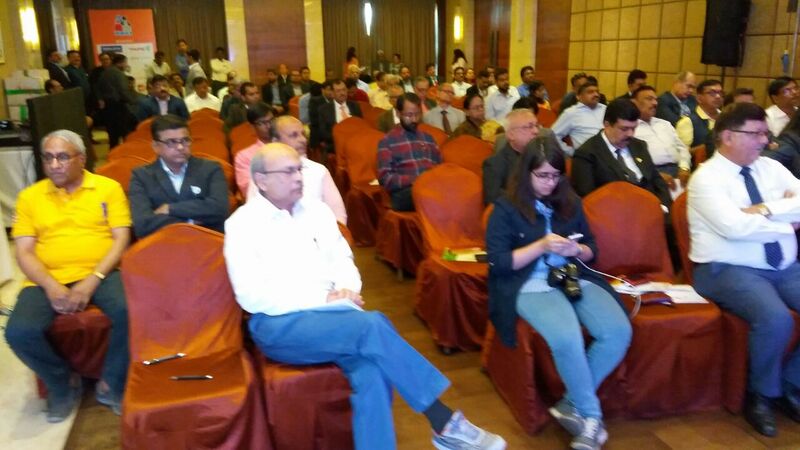 "With the fast changing technology becoming the key enabler in today's world,Communication,Media,Advertisingand HR Professional can ill afford to ignore the rapid developments around them ,"said Shailendra Agarwal.Presidentof IIT Kanpur Alumni Association.Pune chapter,said. "We are happy that PRCI has taken up and absolutely fitting theme Transform Or Perish ", he added. 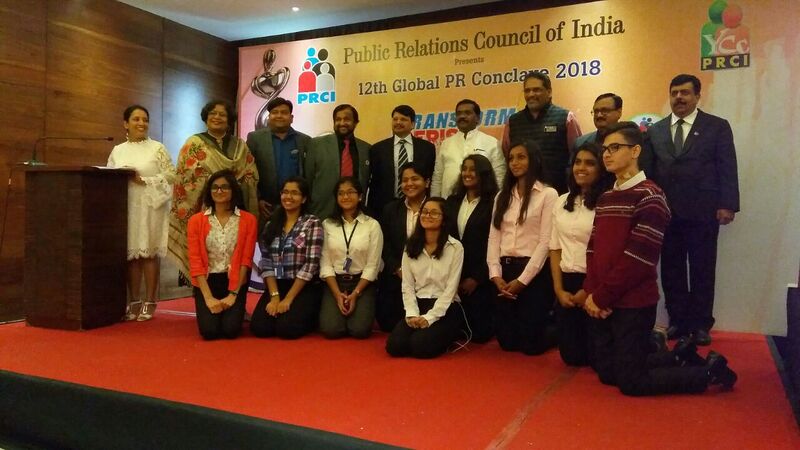 PRCI and its Youth Wing Young Communicators Club (YCC) will hold a separate conclave mainly for communication students at the Symbiosis Vishwabhuvan Auditorium,Senapati Bapat Marg,Pune. in the first half of march 9. 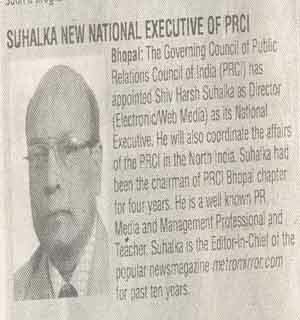 PRCI will also present its signature awards under the Chanakya series.induct communication veterans into one and the only PR Hall of Fame .apart from felicitating achievers with a host of Collateral Awards.The Pune conclave ,thus,promises many takeaways,apart from being a good meeting point to share thoughts and ideas to be able to face lurking future challenges ,said R.T. Kumar, Governing Council Chairman of PRCI. Top Honours today for Adfactors' Madan Bahal,Chandra Mohan Puppla,Roma Balwani,Devendra Bhujbal,Prakash Dubey -Group Editor,Dainik Bhaskar,Barun Jha of PTI. 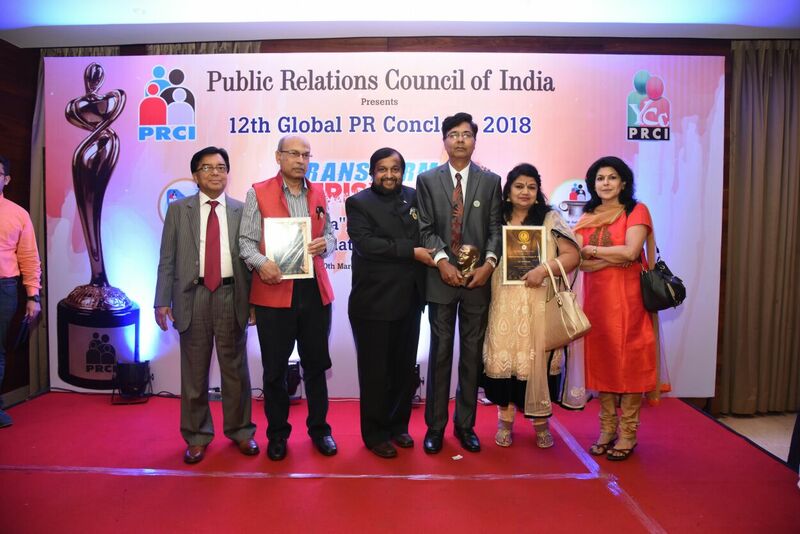 PRCI Hall of Fame National Awards for PWC'S Nandini Chatterjee,JP Sharma and MetroMirror.com -BrainPower Media's Editor-in-Chief Shiv Harsh Suhalka. 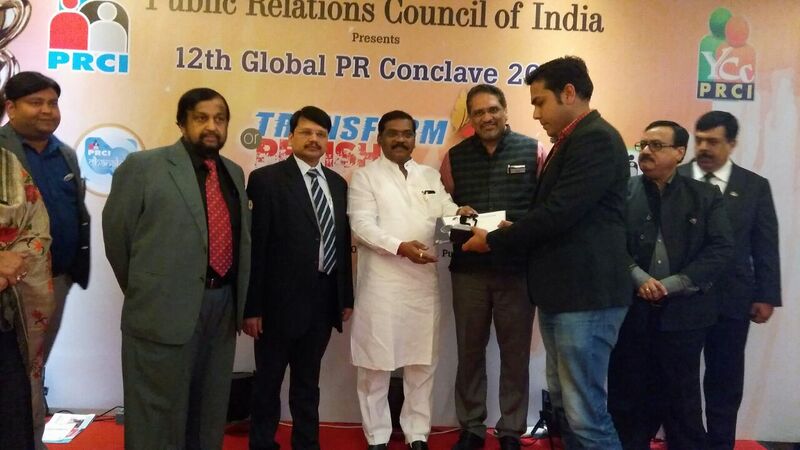 Dainik Bhaskar ,Indian Oil Corporation and NTPC rocks to grab Corporate Collateral Awards. 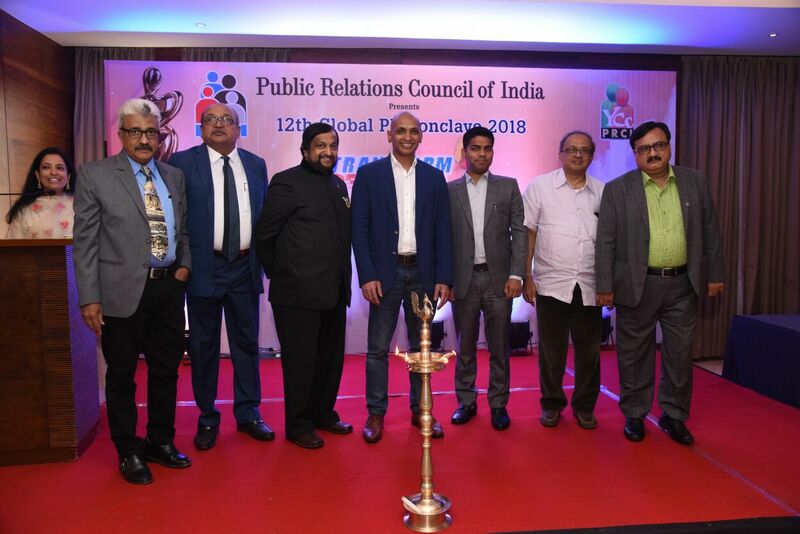 12th PRCI Global Communications Conclave,9-10 March 2018 Pune. 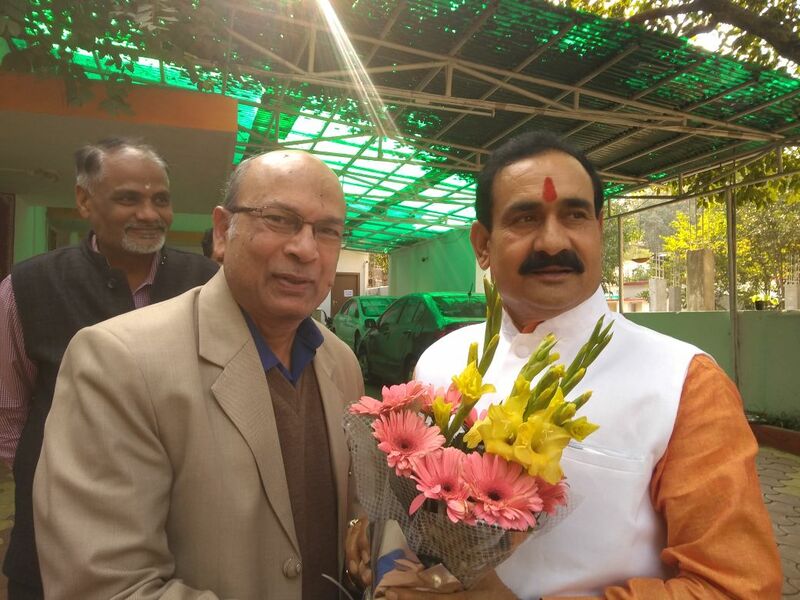 President of the Digital Press Club and Editor in Chief Metromirror.com Sh Shiv Harsh Suhalka greeted Dr Narottam Mishra, Public Relations Minister, at his residence. He wished him Auspicious and fruitful New Year 2018. Hundreds lined up at Bengaluru's Ravindra Kalakshetra cultural centre to pay their respects to senior journalist and activist Gauri Lankesh, who was buried this evening with full state honours at a cemetery in Chamarajpet. Gauri Lankesh, 55, was shot dead at point-blank range at her doorstep last evening. There is outrage across the country and editors and others have condemned the murder and expressed concern over what they described as a growing intolerance to dissent. Karnataka Chief Minister Siddaramaiah, who has called the murder an "assassination on democracy," was among politicians, activists, journalists and other citizens who paid homage to Ms Lankesh at the Kalakshetra, where her body was kept for a few hours this afternoon. The police have reportedly spotted one of three Mr Lankesh's killers on CCTVs that were installed at her house in the western part of the IT hub. The suspect is seen wearing a helmet, said police sources, adding that three teams have been formed to identify and track down the killers, who were likely paid assassins. Journalists from across the country as well as prominent residents of Bengaluru were worried that Ms Lankesh's shooting at point-blank range was in retaliation to her anti-establishment voice, her criticism of those in power ignoring those on the margins. "This shows dissent will not be tolerated," said BT Venkatesh, a lawyer who represented Ms Lankesh in a defamation case brought against her a few years ago by a BJP parliamentarian. At a condolence meeting held in the heart of Bengaluru, some attendees carried posters saying, "Namma Gauri" (I Am Gauri). They denounced intolerance and any threat to free speech. Ms Lankesh ran a weekly Kannada paper in which she often wrote in support of the rehabilitation of Naxals and against divisive politics. Frequently, she contested right-wing ideology. Journalists in different cities have organised meetings today and protest marches against her murder. 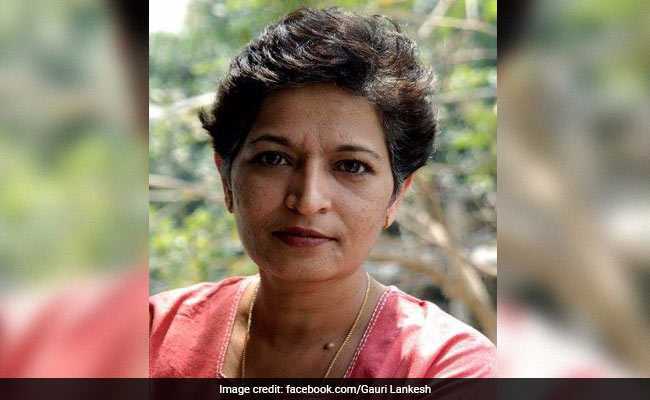 "Gauri Lankesh's murder drills a hole in the heart of the journalist community. Are we sliding into the heart of darkness?" 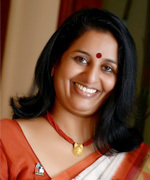 said editor Nalini Singh. Ms Lankesh, whose father P Lankesh was one of Karnataka's best known journalists lived alone. Last night, as she returned from work and headed to her house after parking her car, seven shots were fired at her by men on a motorcycle. Three bullets hit her, including one on the head. A total of seven bullets were fired out of which four missed the target and hit the wall of the house. Three bullets had hit her -- two in her chest area and one in the forehead," Bengaluru Police Commissioner T Suneel Kumar said. Karnataka Law Minister TB Jayachandra said there could be links between the murder of Ms Lankesh and that of rationalist and scholar MM Kalburgi who was killed in 2015 at his home in Dharwad, around 400 km from Bengaluru. When the 77-year-old Sahitya Akademi award winner opened his door, the attackers shot him twice at point-blank range. His case has yet to be solved. 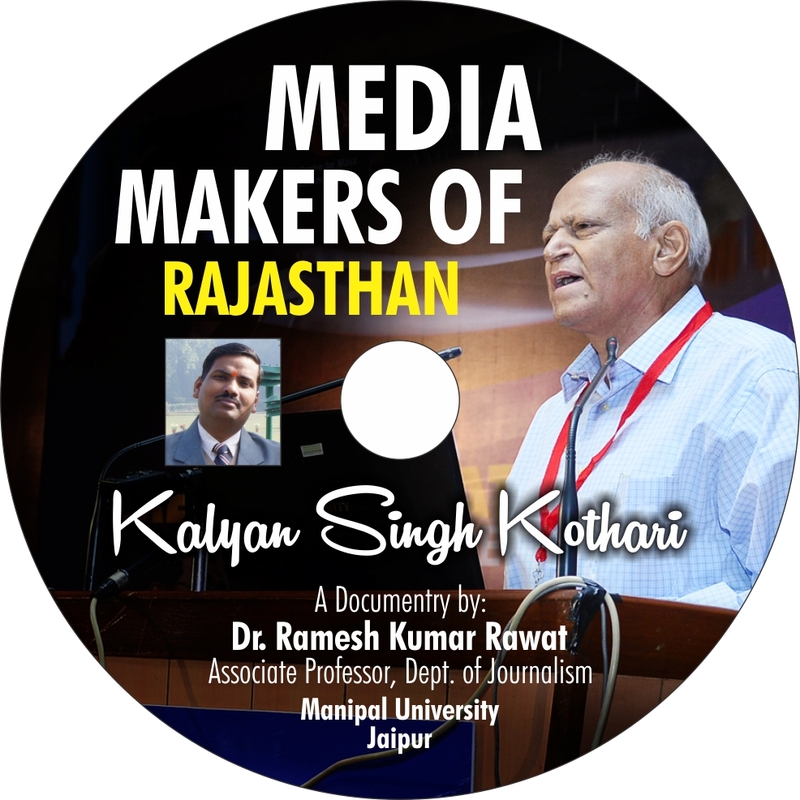 A 58 minute documentary film CD titled “ Media Makers of Rajasthan- Kalyan Singh Kothari” released by Prof. (Dr.) M. Sridhar Acharyulu, Central Information Commissioner, New Delhi,Chief and Guest of the programme; Prof. Sanjeev Banawat, Head, Centre for Mass Communication, University of Rajasthan, and the Guest of honor alongwith Prof. Kamal Dixit, BK Karuna and BK Shantanu in the inaugural session of the National Media Conference. This conference was organized by 'Prajapita Brahamkumari Ishwariya Visvavidhalaya Abu Road, titled 'Spiritual Wisdom for Social Transformation and Role of Media' from 16 th Sept. to 20 th September. This documentary film was made by Dr. Ramesh Kumar Rawat, Associate Professor, Department of Journalism and Mass Communication, Manipal University Jaipur. Dr. Rawat told he was inspired with the thoughts of state Governor Kalyan Singh published by the various newspapers titled “Requirement of the research on 'Rajasthan Mahanaik,”. The main purpose of this film was creating awareness among the journalism students and professionals and motivate to them to know about the struggle of the eminent journalist of the Rajasthan. This research-oriented film shows about the life of Kalyan Singh Kothari as a Journalist and Media Consultant. In this film Dr. Rawat told about his friend circle; family background; intellectual and educational development; sour and sweet memories of childhood; the way forward in the field of Journalism; role of his ideal, sh. 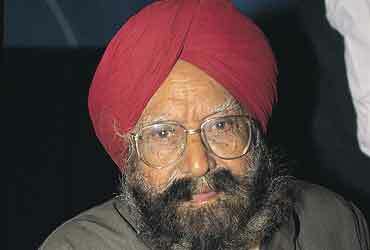 Kapoor Chand Kulish, in his success; his wife’s contribution for his success; his writings in journals and newspapers; awards; felicitation and certifications; activities; freelancing and PR; war; health; law; development; political; women and child journalism; challenges after post-independence; abroad tour; journalism seminars, workshops and All India Media Educators Conference organized by sh. Kothari. Mr. Vijay Bhandari, former editor, Rajasthan Patrika, Prof. V. S Vyas, former member of the Prime Minister's Economic Advisory Committee, Mr. Kulbhushan Kothari, former director of UNICEF, New York, Prof. (Dr.) Sanjeev Banawat, Professor and Head, Centre for Mass Communication, Rajasthan University. Mr. Ashok Chaturvedi, Secretary Small and Medium Newspaper Association of India, Mr. Ghanshyam Dhar, Retire Principal, LBS College and other eminent personalities expressed their views on Mr. Kalyan Singh Kothari's life, in the film. 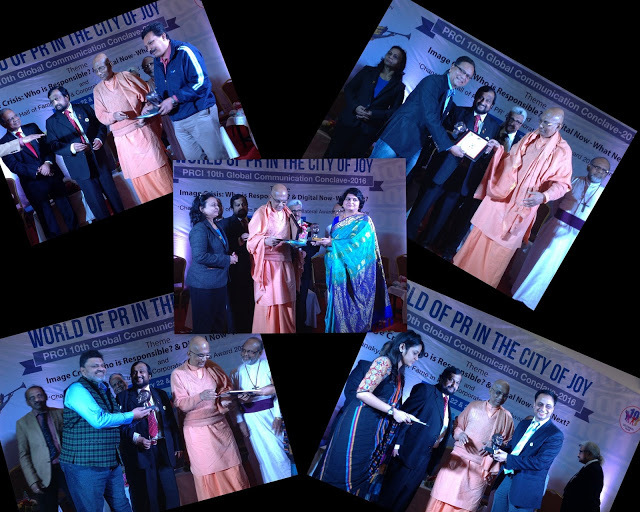 The two-day 10th Global Communication Conclave hosted by Kolkata, the City of Joy, was indeed a joyous experience. 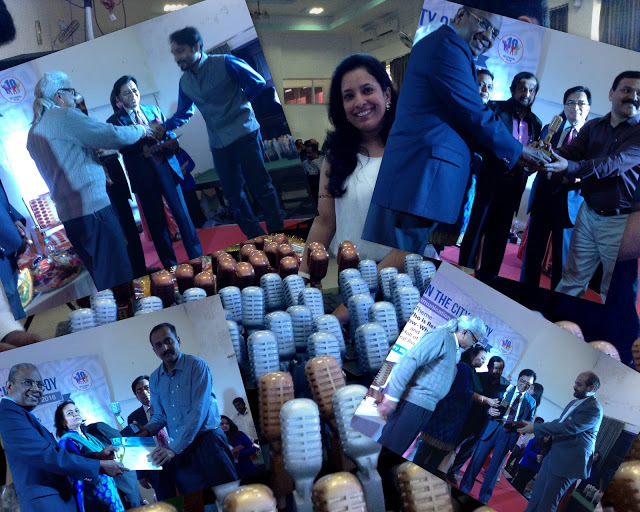 Held on January 22 -23, 2016, the Conclave had a large number of PR, media, HR, Advertising professionals, mass communication academicians and students attending. 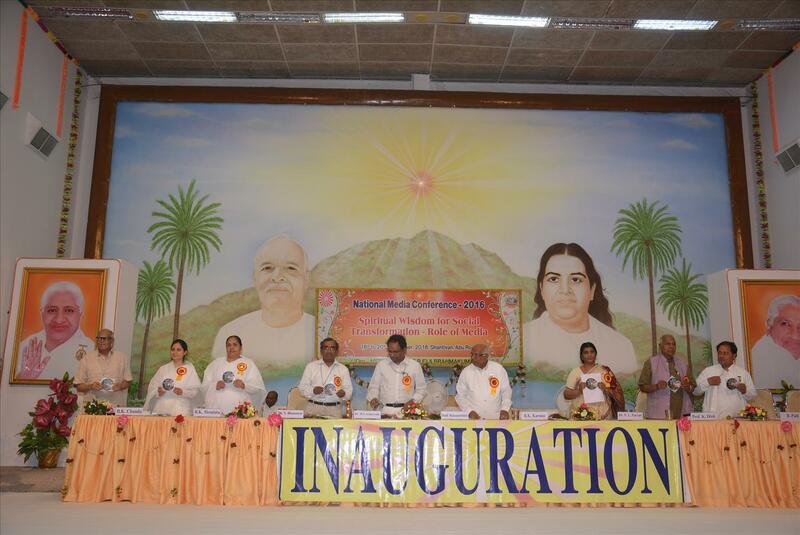 West Bengal Minister for Women Welfare and Child Development Ms Sashi Panja was the chief guest who along other dignitaries such as Swami Jitatmananda Maharaj, Vice President, Ramkrishna Math, lighted the traditional lamp to mark opening of the Conclave. The Conclave paid glowing tributes to late PRCI Governing Council Chairman N D Rajpal who passed away recently. His daughter Shweta fondly recalled his memories and said he was a great family man while he was always busy with his professional commitments. The delegates observed silence as a mark of respect to the departed soul. 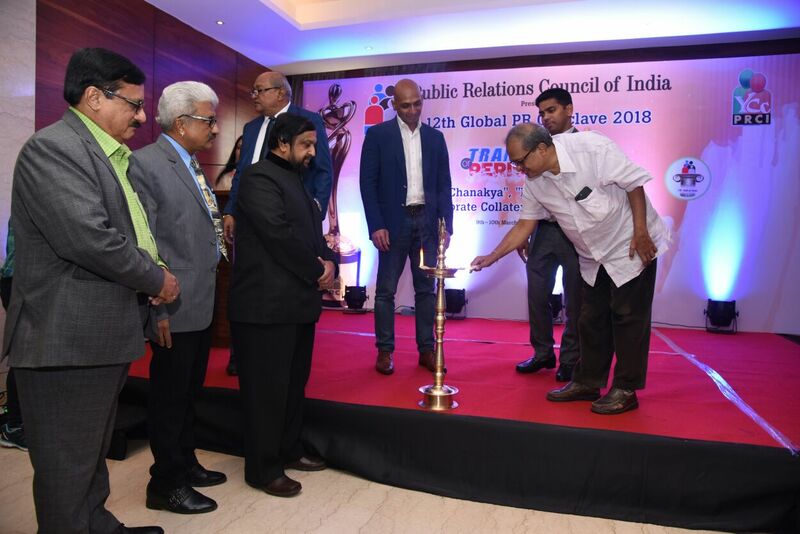 Conclave vice chairman and PRCI East Zone Chairman B K Sahu and organising committee chairman Ravi Mahapatra, who also heads Kolkata chapter of PRCI, welcomed the guests. Ms Sashi Panja, West Bengal Women welfare and child development minister, who inaugurated the two-day conclave, focused on the communicators’ role in ensuring the safety of women and children. In this context, she appreciated PRCI for complying with the Sexual Harassment of Women at Workplace (Prevention, Prohibition and Redressal) Act makes it mandatory for all organizations to have Internal Compliance Committees. 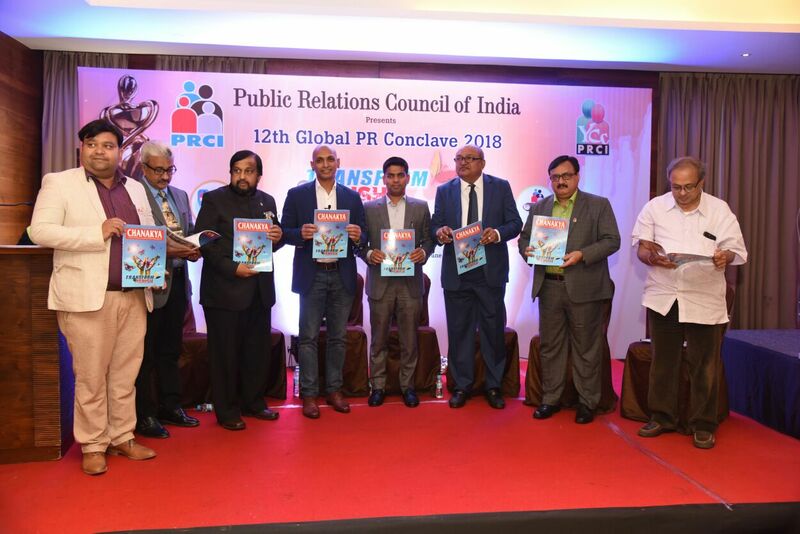 PRCI Chairman Emeritus and M B Jayaram referred to the Conclave theme - Digital Now-What Next - and stressed the need for all PR professionals to be abreast with the fast developing technology to be able to meet ever increasing communication challenges. PRCI Governing Council chairman R T Kumar said the organization is spreading its pan-India network and at the time spreading wings globally. ORCI recently formed its UAE chapter and will soon set up units in Singapore, Malaysia, Australia, Germany and the US. 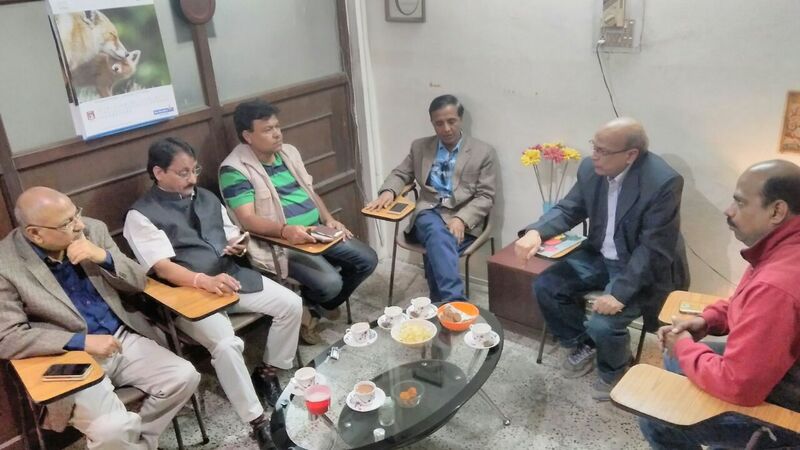 PRCI National Executive president B N Kumar disclosed that the Guest Faculty Pool set up by the Council is becoming popular among institutions teaching mass communication. 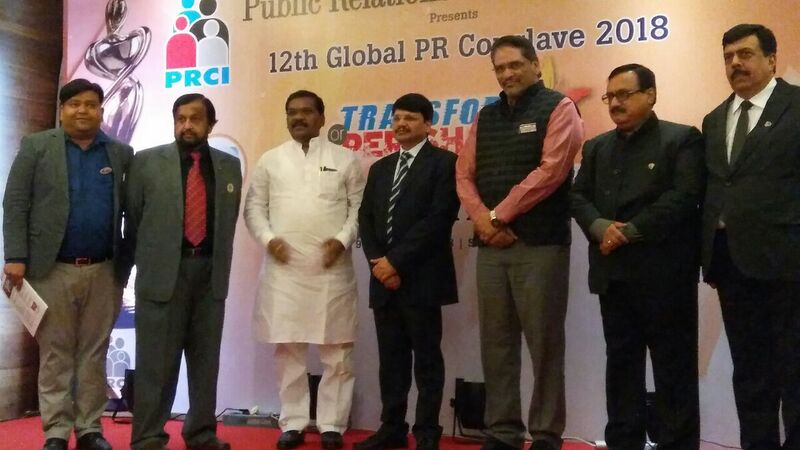 PRCI will focus on skill development among upcoming communication professionals and periodic knowledge forums. YCC Chairperson Geetha Shankar said the organization has launched a special drive to involve the student community and planned youth summits in Mumbai, Bangalore and Mysore. Mr. Shiv Harsh Suhalka, Editor-in-Chief of MetroMirror and Director of Public Relation Council of India turned 60 on Dec. 28, 2015. 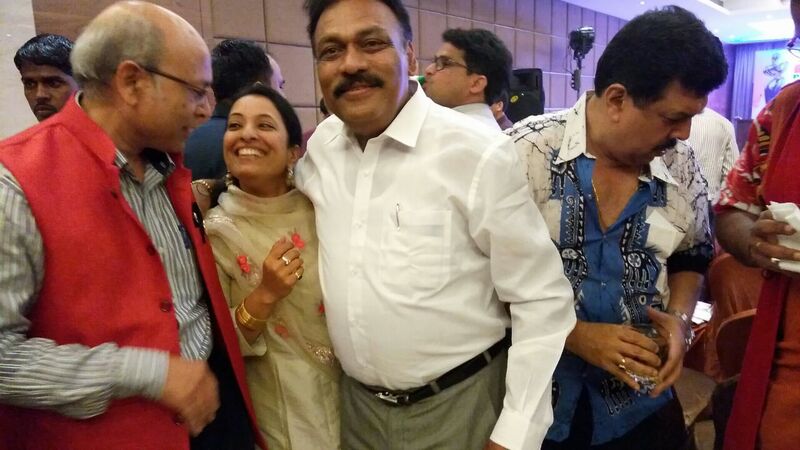 The day was celebrated at Fusion Spice Banquet Hall with the who's who of the city present, noted among them Sh. Atmadeep, Information commisioner, Sh. Ganesh Sakalle, President Central Press Club, Sh Deepesh Joshi, leading Advocate, Sh. Shailendra Bagre, leading Architect, Sh. AC Chandra, Ex Chief Income-tax Commisioner and Past convenor citizens Forum, Sh. Ajay Dubey, RTI Activist and Representative Transparency International, Sh. Vijay Bandriya , Chief Editor Krishak Jagat, Sh. Girish Upadhyay, State Editor, Subah Savere, Senior Journalist Sh. Rajesh Sirothia, Sh Ajay Bokil, Sh. Samdatt Shastri, Sh. 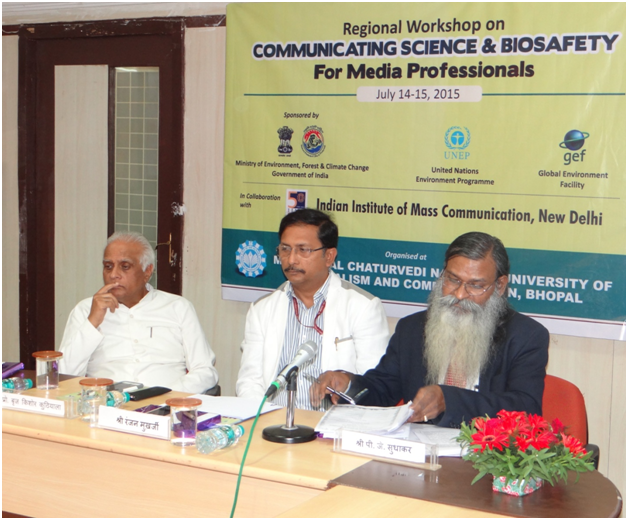 Sanjay Dwivedi, and Abhijit Chandra, Prof. Pavitra Shrivastava, Prof. Pushpendra Pal Singh, Dr. HD Verma, Sh. Shekhar Maheshwari, Sh. Vivek Verma, Sh. 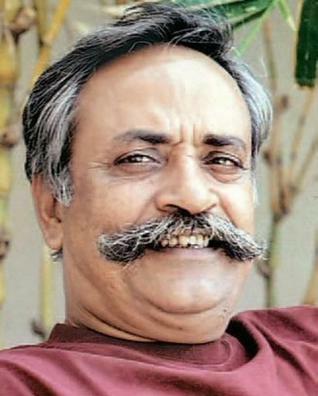 Pankaj Malik, Dr. M.S. Raghuwanshi, Sh. Vikas Bandriya, convenor BJP State IT cell. Global investment firm KKR will commit up to $300 million to create a pan-Asian media and entertainment investment platform along with California-based media holding company, Chernin Group, in a long-term bet on Asia's fast growing digital media and technology space, including in India. The new platform, Emerald Media, which will see KKR hold a majority stake, will primarily focus on providing capital to media, entertainment and digital media companies across Asia. Chernin Group will join as a minority co-investor in the platform. Emerald will look to acquire control or significant minority positions in growing public and private media companies. The platform will look to invest approximately $15million-$ 75million in any investment. A substantial portion of the investments will come into India, where KKR is building a series of investment platforms. The US buyout fund has a non-banking finance company, a real estate investment platform and distressed assets platform, besides its core private equity business. As part of the transaction, KKR will also acquire a significant minority stake in CA Media, the existing Asian media portfolio of Chernin Group. The platform will be headed by Rajesh Kamat, who was former COO of Viacom18 Group and CEO of COLORS in India, and Paul Aiello, the current group CEO of CA Media. Aiello was the former CEO of News Corp's Star TV Asia. The transaction, which is aimed at creating one of the largest media investment platforms in the region, is expected to get announced later this week. "The media, entertainment and digital media segment across Asia, especially in India, enjoys attractive macro fundamentals, mirroring the trajectory of the region's consumer sector," Sanjay Nayar, Member of KKR and CEO of KKR India, said. The Chernin Group's Asia investment platform CA Media focuses on a broad range of opportunities in content creation, television networks, sports, education, advertising, and digital media. The creation of the platform comes as Indian media and entertainment sectors are poised for a strong growth. The sectors are expected to grow at 13.9% CAGR, to touch.`19,6400 crore by 2019, KPMG said in arecent report. The growth rate is almost double that of the global media and entertainment industry, KPMG said. In India, CA Media has been building a strong portfolio that includes television and film production, live music events, youth media, digital content, intellectual property and graphic novels. Its investments in the country include stakes in content company Endemol India, music and live events company Only Much Louder, and entertainment company-Graphic India. Deal activity in India's media and entertainment sector rose in 2014 with 61 transactions as against 26 transactions a year prior. Total size of the transactions increased to $2.4 billion from $224 million, KPMG's report said. Digitalisation, Phase III licensing of radio and 4G rollout will provide the required impetus to the industry, KPMG added. 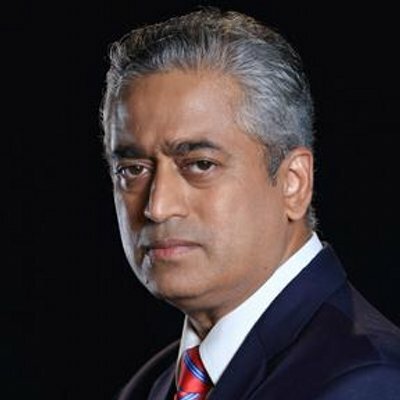 "101 Hindi Media Ke Diggaj" to Sh. Shiv Harsh Suhalka, Editor in chief of MetroMirror.Com and Secretary General of Forward India Forum - a Think-tank. He praised the objectives of Forward India Forum and shown his interest to join the forum. Media and Public Relations are complementary to each other and enjoy a symbiotic relationship. The two crafts should harmonise with each other instead of working at cross-purposes. This was the sum and substance of a thought-provoking presentation by Chandrakant Naidu, a senior journalist, at a panel discussion organized by Bhopal Chapters of Indian Society for Training & Development (ISTD) and Public Relations Council of India (PRCI). Responding to the theme of the discussion, C.K. Sardana, a senior PR practitioner, said PR people formed a useful 'source' for media persons. Through their understanding of various facets of their own organizations and associated areas, they were able to provide in-depth information - what the media persons really needed - which help prepare good stories for print and electronic media. It was a sort of 'mutual help and gain' for both, he added. 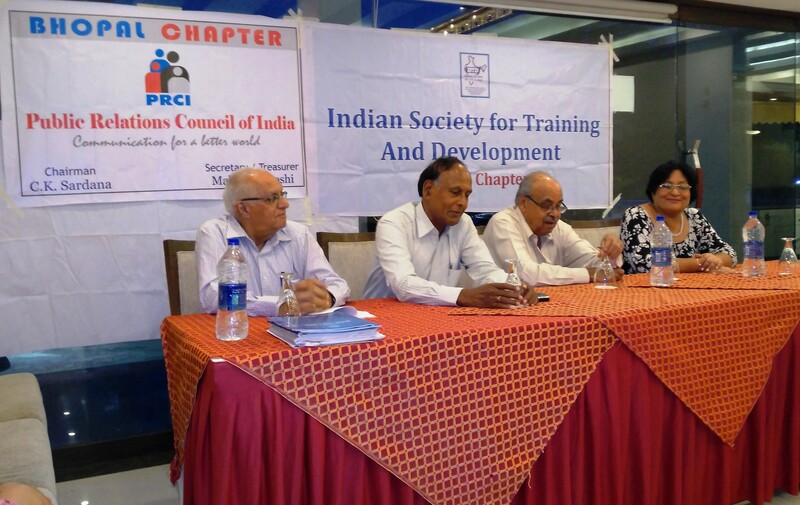 Rashmi Bhargava, Chairperson, ISTD, Bhopal Chapter and C K Sardana, Chairman, PRCI Bhopal Chapter were present. J.N. 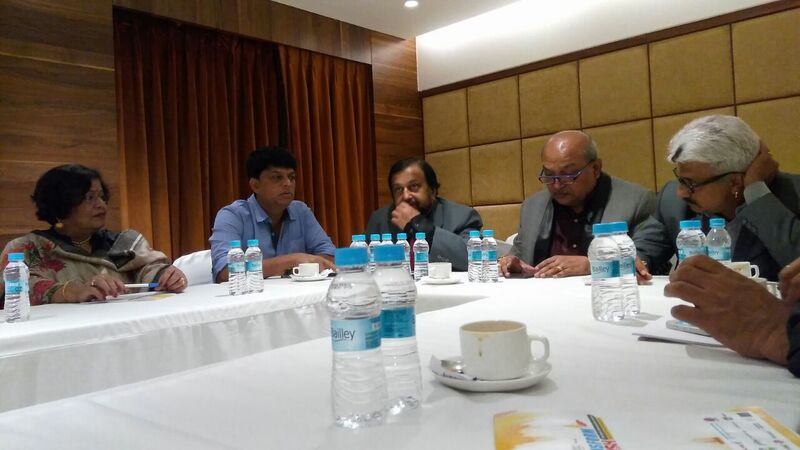 Chawdhary, a veteran marketing man, was the patron at the panel discussion. Mahendra Joshi, Secretary, PRCI proposed a vote of thanks. In his opening observations, former Regional Editor of Hindustan Times, Chandrakant Naidu said the PR specialists excel at bringing forth the strong points of any institution to be highlighted through media. The news media cannot afford to ignore the weak points as their audience would expect them to put things in perspective. At times the news media's job begins where the PR specialists' ends. In the current media scenario the lines between PR and news presentations are blurring due to commercial considerations of the media ownership. Large number of persons from different walks of life participated in the inter-active panel discussions. 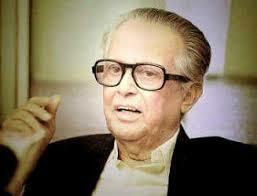 Notable among them were Salil Chatterjee, Sanat Gangwal, R.N. Soni, O.P. 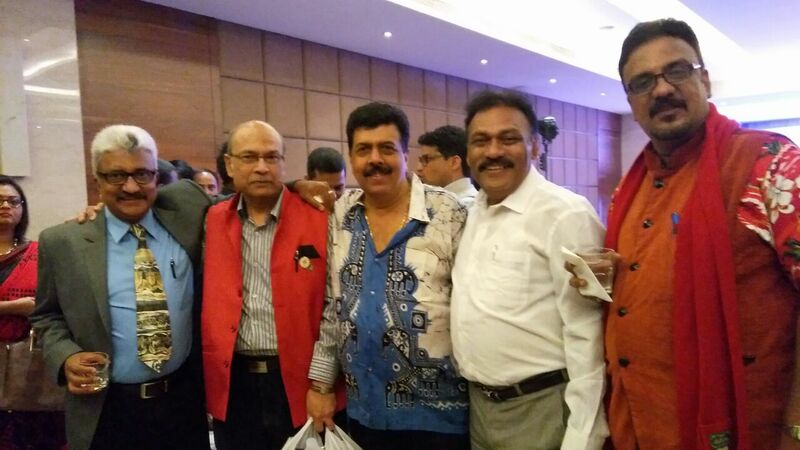 Soni, C K Hayaran, Harsh Suhalka and Pradeep Bhargava. Mr. B N Kumar , Executive Director of concept PR, Mumbai has been elected as the National President of PRCI, leading organisation of PR, Media, Advertising and communication professionals with 25 chapters spread throughout India. Mrs. Bharti Singh , Chief of SA - MUDRA , Bangalore is an entrepreneur . She had been the Secretary General of PRCI earlier also. 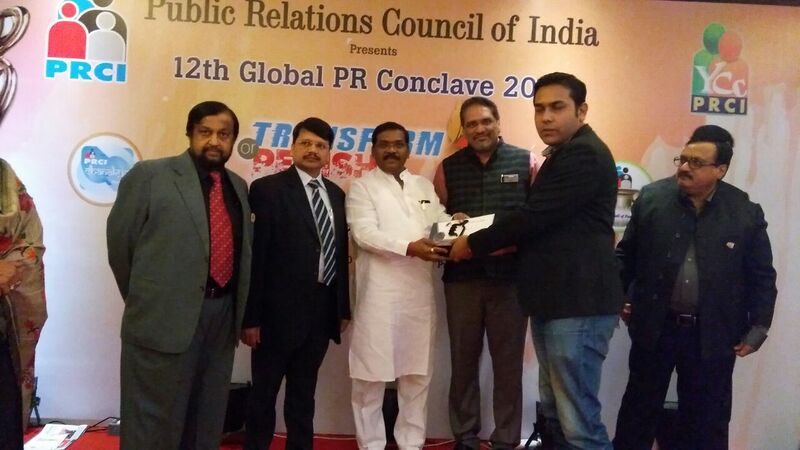 Leading online News magazine MetroMirror.com-published since 2003 with ten state editions in English and Hindi will be the official online Media of 9th PRCI Global Communication Conclave to be held at India Habibtat Centre at New Delhi on 13-14 March, 2015. Andreas Kaplan, Professor of Marketing and Social Media and Michael Haenlein, Editor of the European Management Journal (EMJ), have defined social media as “a group of Internet-based applications that build on the ideological and technological foundations of Web 2.0, and that allow the creation and exchange of user-generated content Social media technologies take on many different forms including Magazines, Internet forums, weblogs, social blogs, microblogging, wikis, podcasts, photographs or pictures, video, rating and social bookmarking. In their highly acclaimed article ‘Users of the world, unite! The challenges and opportunities of Social Media’, Published in the Jan-Feb 2010 issue of ‘Business Horizons’, the bimonthly journal of the Kelley School of Business, Indiana University Kaplan and Haenlein classified six different types of social media. These are collaborative projects (e.g., Wikipedia), blogs and microblogs (e.g., Twitter), content communities (e.g., YouTube), social networking sites (e.g., Facebook), virtual game worlds (e.g., World of Warcraft), and virtual social worlds (e.g., Second Life). Many of these social media services can be integrated via social network aggregation platforms. Social media network websites include sites like Facebook, Twitter, Bebo and MySpace. With a burgeoning number of users joining the online community world wide, the importance of social media is significant – not only for the purpose of connecting with the people we know but also for the purpose of disseminating information thereby informing, influencing, moulding and building mass opinions. The Anna Movement against corruption in India exemplified the power of social media. While critics claim that the anti-graft crusade was a television generated movement, the fact remains that a large number of youth who joined the campaign across the country were deeply influenced by the social media, although aided and abetted by the visual media. We have witnessed the use of social media technology during the widespread unrest in the Middle East – Libya, Syria, Egypt and Bahrain. In fact, the experiences in Egypt and Tunisia have prompted the Syrian Government to maintain a strong surveillance on the use of new media technologies. China and Pakistan have often restricted access to social media on political and cultural grounds. In India too, the Central Government has made futile attempts to censor social media but have backtracked following huge hue and cry. In neighbouring Nepal, the importance of these informal channels was recognised after the February 2005 takeover by the then King Gyanendra, when almost all the formal channels of information were blocked and only a few online media and blogs remained to share information with the public. It is not only during unrest and rebellions that the social media has come handy. They have proved to be immensely invaluable during natural catastrophes and even emergency situations like the 26/11 terror attacks in Mumbai and the fires at Mantralaya and at Kolkata recently. However, what’s more interesting is the emergence of social media not only as a crucial source of information for the mainstream media but also as a key competitor in the race for breaking news. It is said that Twitter users posted the message about the death of singer Whitney Houston twenty seven minutes before the mainstream media broke the news. According to the Telegraph, tweets were posted at a rate of around 70 tweets every five seconds during the Mumbai terror attacks. Blogs and social networking sites were abuzz with news, photo, audio-visual and eyewitness accounts as the events unfolded. The increasing significance of social media to the mainstream media can be gauged from the fact that now Sky News has a Twitter correspondent researching the microblogging platform. Back home, in India, we have had former UN Under Secretary General and Minister of State for External Affairs, Shashi Tharoor, who lost his job following a series of tweets revealing juicy information about the goings on in the highly lucrative Indian Premier League. The young, media savvy author and columnist was not the only loser in the episode. His friend and now wife Sunanda Pushkar lost her stakes (sweat equity) in the Kochi team, IPL wizard Lalit Modi lost his job and Kerala lost its only IPL team. The episode provided lot of masala to the mainstream media. So did the tweets of actor director Farah Khan on the SRK-Sirish Kunder spat. The tweets of film stars and starlets often grab media headlines. Instead of calling the media to air their enlightened opinions, on subjects ranging from tooth aches to Timbuktu, the celebrities, including the Big B, have taken to the social media to reach out to their fans, hit out at their rivals and remain in news. The politicos have also joined the bandwagon, with the BJP leaders taking the lead. Leader of Opposition Sushma Swaraj’s tweets keep the party beat correspondents updated with the latest in the party and parliament while veteran leader LK Advani has shocked and surprised many within and outside the party with his blogs on issues ranging from media to Modi and films to foreign policy. 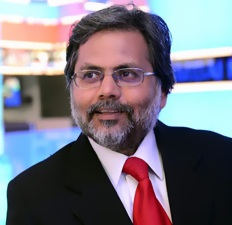 Lauding the role of social media, particularly in cornering senior journalists Barkha Dutt and Vir Sanghvi in the wake of the Nira Radia tapes, even as mainstream media remained a mutte spectator, columnist Sachin Kalbag wrote in the Mail Today, “Online media in India rarely, if ever, gats its due. But it is social media, with its ability to become, as a senior journalist put it, a lynch mob that is something that media professionals would do well to remember. It is debatable whether a “lynch mob” or a “mass movement” would describe the phenomenon. It does not matter, really, because social media has well and truly arrived in India. Apart from mainstream media, social media is also being put to good use in social sectors in a big way. Associate Professor Jo Tacchi, a Principal Research Fellow in the Creative Industries Faculty, is working on a series of projects funded by the Australian Research Council, UNESCO, UNDP and other international non-government organizations to enlist new media to help poverty alleviation in India, Nepal, Sri Lanka and Indonesia. Although each initiative is adapted to local circumstances, the common objective is to give local communities the skills to set up their own independent and community-based media resources to address issues that are important to these communities. Such issues might include health, education or politics, and the media used range from local radio stations to new media forms such as websites. Finding a Voice: Making technological change socially effective and culturally empowering is one of the leading projects in the programme. Taking a participatory approach to research, aiming to empower people through finding their own voice, the project looks at using old and new media technologies to reduce poverty in poor communities in terms of people’s participation. This is achieved by assessing people’s capacity to participate in various activities such as self expression and freedom of social networking media. Census 2011 was logged on 24x7 on Facebook with live update, comments and responses from the department. The office of the Registrar General and Census Commissioner of India thought of the Facebook idea soon after it released the momentous Census 2011 findings. The result has been more than satisfying. According to Census Commissioner Dr C Chandramouli, “This initiative has really helped to connect with the people. The responses of the people have been overwhelming. People have been very inquisitive and thoughtful throughout and have been actively participating and commenting on our regular updates.” He is not averse to criticism and looks forward to some constructive suggestions to engage the public better. Several other Ministries and departments including the Ministry of External Affairs too have joined the bandwagon. With India emerging as the third biggest Facebook market with nearly 4 crore 98 lakh Facebook users, the anxiety of the Government to reach out to GenX is understandable. According to Socialbakers, the contry is expected to have maximum number of Facebook users by 2015 while Semiocast, a social media monitoring tool, has rated India as the sixth highest user of Twitter. The other popular social media platforms include You Tube and Orkut. A recent ‘Tata Consultancy Gen Y Survey 2011-2012’ of nearly 12,300 high school students across 12 Indian cities found that 85 percent of the students use Facebook. Interestingly, Socialogue, a survey on social media trends and behavior, revealed than 56 percent of Indians would prefer giving up television than giving up social networking sites. It revealed that nearly 37 per cent of people prefer a large network of friends as compared to close friends. The negative impact of the growing influence of social media is also causing concern to sociologists and educationists. According to ‘Global Youth Online Behaviour Survey’ conducted by Microsoft, India ranked third in the list of 25 countries where 53 percent of the surveyed children aged between eight and 17 admitted that they were victims of cyber bullying. Even as they are increasingly coming to terms with social media or citizen journalism as a major source of information, the mainstream media too is feeling the punch of this “cyber bullying”. A major problem confronting media houses is that their own staffers are choosing to break news on their individual accounts as against the professional platform. The staffers are also often found to be re-tweeting news breaks from correspondents working in other organizations. The gravity of the situation can be gauged from the fact that BBC has drawn up an editorial policy on the use of social media for its editorial staff. While the organisation’s guidelines for breaking news recognizes the increasing value of other social networks, as a platform for its content, a newsgathering tool and a new way of engaging with people, the BBC has developed a system that enables its own reporters to send their messages simultaneously to its newsroom systems as also other journalists’ Twitter accounts. Thus, the journalists can no longer break news in their personal account before it is officially published from the media house. Sky News too has issued guidelines to prevent its journalists from tweeting news and ‘undermining’ its credibility. Richard Sambrook, the director of the BBC Global News Division, feels that the impact of social media has been overestimated in the short term and underestimated in long term. Asserting that mere information is not journalism, he says one gets a lot of things, when one opens up Twitter in the morning, but not journalism. “Journalism needs discipline, analysis, explanation and context. It is still a profession”, he says. According to him, the value that gets added with journalism is judgment, analysis and explanation and that makes the difference. While maintaining that journalism will stay, Sambrook says journalists must, however, understand one rule: if you believe you are in competition with the internet, find your way out. Collaboration, openness and link culture are rules, you can’t deny at the moment. John Kelly, a columnist for the Washington Post, who has published a report on the rise, challenges and value of citizen journalism for the Reuters Institute for the Study of Journalism points out that today the Huffington Post competes with the Washington Post not in terms of journalism, but in terms of its readers. Social media for him are not only important for citizen journalism, but for reaching out to the readers as well. Mainstream media are exploring the use of social media to drive traffic; already 8% of the Daily Telegraph web traffic comes from social media. Leading trans-national wire service Reuters too is exploring blogging to set up a community offering specific trade news and information as the financial community is increasingly relating to the social media. Many Editors in India and other developing countries are looking at social media as a boon, particularly the electronic media. In their view, if people hear anything on social media, they immediately check out for the details on radio and TV and the audio visual media can use inputs from social media can use inputs from social media including you tube, to their advantage. Several newspapers have launched their online editions, which is also turning out to be a good revenue model. Many are even suggesting that in the days to come, newspapers may consider giving up event based news and focus more on the implications of such events. In some cases social media and main stream news media would be rivals, but in other cases they could be complementary to each other. “When the social media draw in readers and viewers to mainstream media, they are of course complementary. But both of them should and can find ways to take benefit from each other. In the real world they live in, both cooperation and competition exists,” he says. 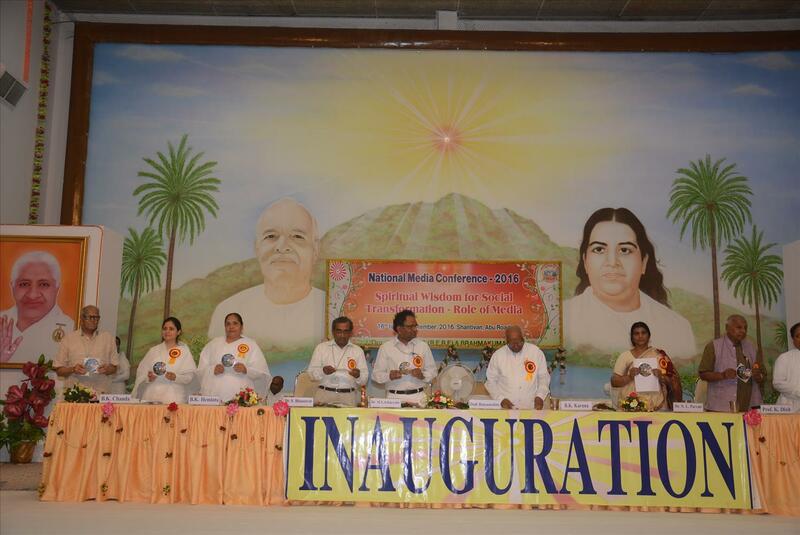 MP chapter of the Indian Media centre was inaugurated by Sh. Laxmikant Sharma, PR MinisterGovt. of MP: On this Occasion Natinal Chairman Sh. 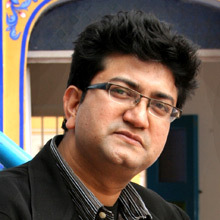 Chandan Mishra, Director Sh. 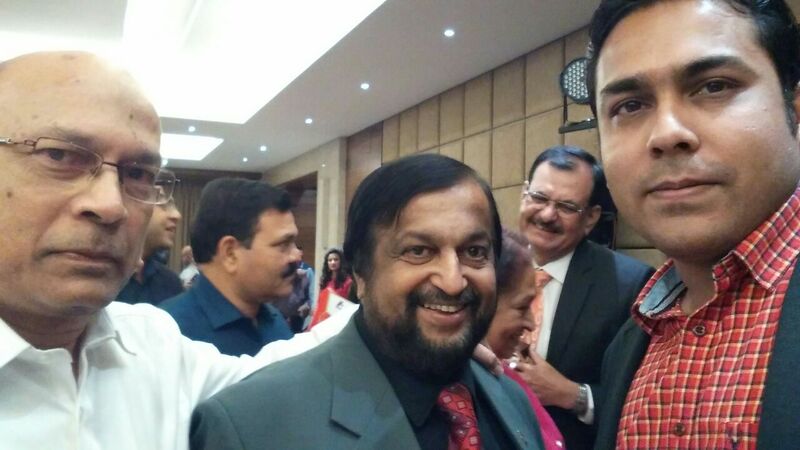 Shayam Khoshala and Vice Chairman Sh. B.K khuthalia and MP chapter chairman Sh. Ramesh Sharma were present. 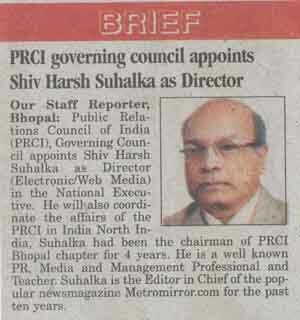 Mr. Shiv Harsh Suhalka, Editor in Chief of METROMIRROR.COM elected on the executive member. ShivRaj Singh Chauhan, CM of MP, While addressing the valedictory function shown his concern towards the electronics media showing the non-news based program like " Munni Badnaam Hui " songs.
" Media -Naya daur, Nai Chunautiya ".
" Media -Naya daur, Nai Chunautiya " Book written by Journalist & Media Analyst Sh. 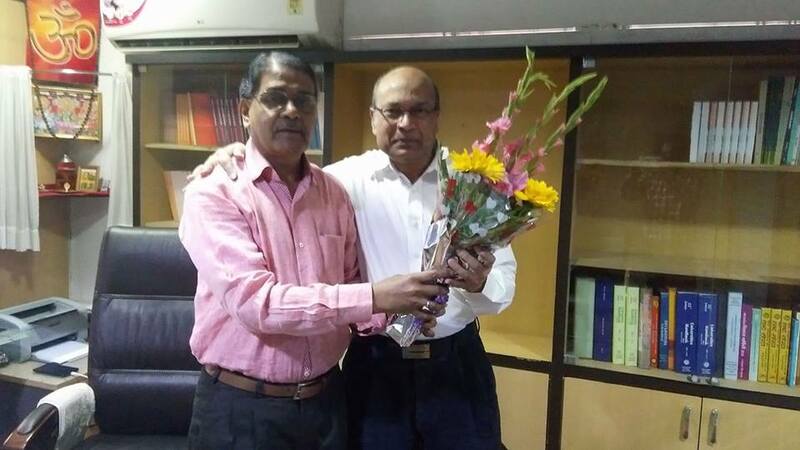 Sanjay Dwivedi released by Sh. 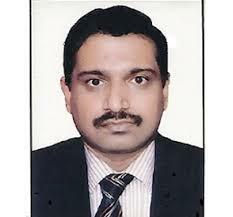 Prabhat Jha, Sh. Brij Kishore Kuthalia, Sh. 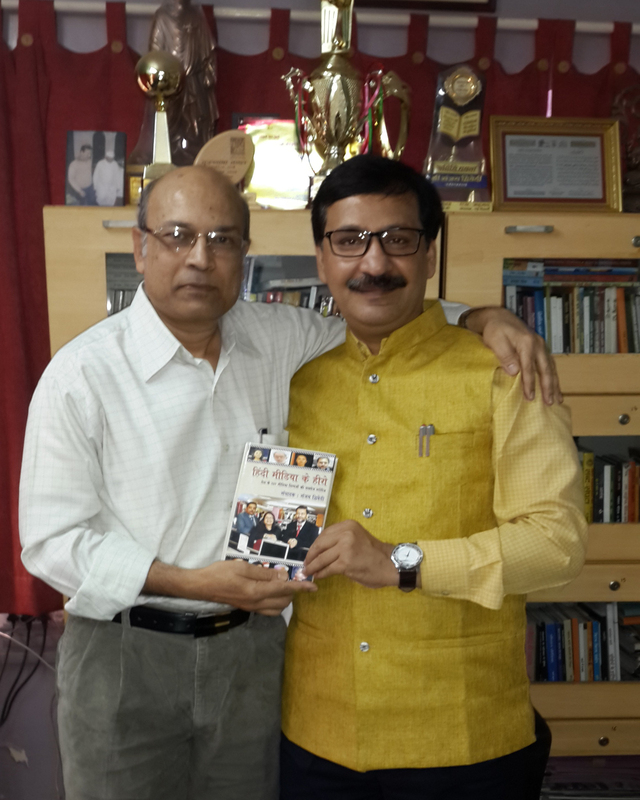 Ravikant Mittal & Dr. Shrikant Singh. Bhaskar Group's new Hindi Publication Business Bhaskar was launched here by Venugopal Dhoot, Chairman of the Videocon Group. 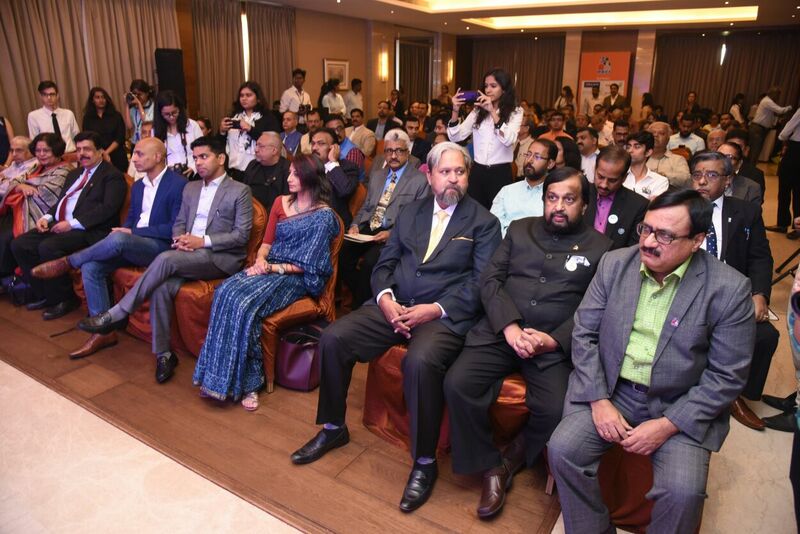 Director Bhaskar Group Girish Agarwal welcomed the guests and have shown confidence that the Business Bhaskar will definitely help the Hindi Readers to get the right knowledge for their business and personal growth. On this occasion Mudit Gulati, GM Bhaskar Bhopal introduced the guests. Anil Mahajan,CEO,MP-CG also express his views. While talking to the Editor of Metromirror.com Yatish Rajavat,Editor of Business Bhaskar told that this innovative Hindi Business Newspaper would prove to be the friend of the readers aspiring to grow financally. MetroMirror.com emerges as the most read and preferred News Portal Brand. 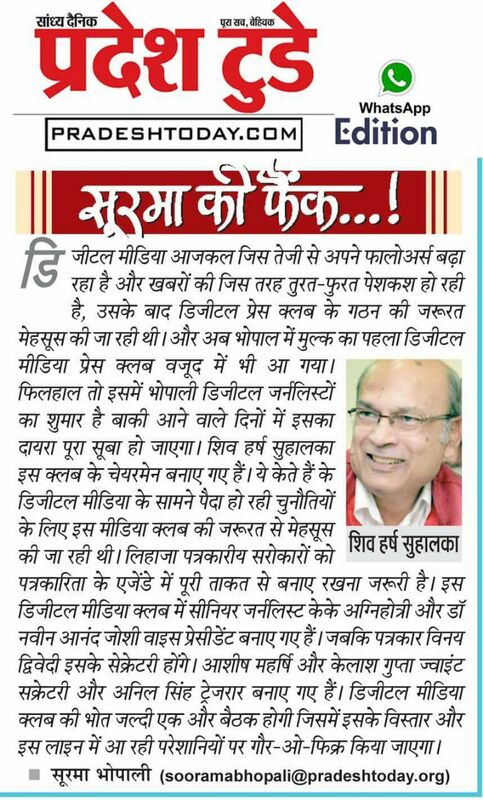 -PRINT(Hindi): Danik Bhaskar, Jagran and Raj Express. -PRINT(English):Hindustan Times and Bhopal Plus(Times Group). -NEWS PORTAL(English): MetroMirror.com and HindustanTimes.com. 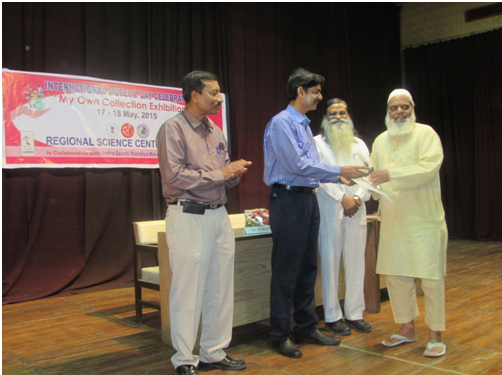 Madhao Rao Sapra Museum of News Papers and Research honoured 11 Journalists in a function held at the museum .